Adventures in Translation: China, add oil! When Olympics fans are cheering the U.S. team, the main chant is "USA! USA!" In China, the cheer is 中国队加油! (Zhong1 guo2 dui4 jia1 you2), Basically it means, "let's go Chinese team." Fairly simple, but there is an interesting story behind it. The first part 中国队, means "Chinese team." But the second part, 加油, (pronounced "jyah yo") literally means "add oil," or "add gasoline," as in "gas station": 加油站 (jia1 you2 zhan4). Here is a translation of the real story, according to the all-knowing international network of computers. The origin of the phrase "jia you" dates back to the 14th century. Liu2 Bo2 Wen1 (刘伯温) (1311-1375) was a famous Ming Dynasty general. But he always regretted that he did not live in the same era as the cleverest and most famous general of all time, Zhu1 Ge3 Liang4 (诸葛亮) (181-234). Since Zhuge Liang was long dead, there was no way for Liu Bowen to try and match wits with him. One day Liu and his army came upon a plum tree forest. His mouth was dry and he spat on the ground, but when the spit hit the ground, it made a sharp "splat" sound. Perplexed, he ordered his men to cut the grass and brush around the spot to see what was there that would make such a noise. To his surprise, he found a stone monument that read: "Liu Bowen spat here." To his even further surprise, the monument was signed by Zhuge Kongming, the courtesy name of Zhuge Liang. He was impressed that Zhuge Liang would be that clever as to predict that Liu would spit there one day, but he was still not convinced that Zhuge Liang was smarter than he, so he kept going into the forest. Before long, he came upon a tomb. Taking a closer look, he discovered that it was none other than the grave of Zhuge Liang. He thought to himself, "Not bad, Zhuge Liang. You predicted that I would spit here on this day, but I bet you couldn't predict that I would find your tomb." So Liu had his men open up the tomb, and he walked in by himself. He looked around and finally found Zhuge's sarcophagus. Next to it was a small oil lamp, that was flickering, just on the verge of running out of oil. Liu thought: "Hmph. Everyone says how clever and awesome you were, but here you are today, with your altar lamp about to extinguish itself." But then he noticed next to the lamp was a piece of parchment, so he looked at it more closely. On the paper was written: "Old Liu, Old Liu, add oil, add oil." At this, he was dumbfounded, and immediately kowtowed before the sarcophagus three times. He then swept the tomb, out of newfound respect for Zhuge Liang. Henceforth the phrase "Add oil" has been used to encourage people. I'm not sure how the story translates into cheering for a volleyball team, but there are lots of these parables out there, and many of them are old, but have led to phrases that are used today. "Jia you" is not only used in sports, though. 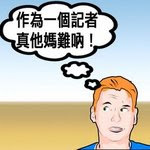 Right after the Chengdu earthquake, for example, the phrase was all over the Internet as a general "keep your head up" type of sentiment. In his NPR report, Kuhn also referred to one of the "unsanctioned" cheers used by Beijingers, "niu2 bi1," which literally means "cow [genitalia]." I'll save the origin of that lovely phrase for a later post. It is an interesting adventure to read your post on "Add Oil". You do did some research on that. I asked my Chinese friend how it was explained to him growing up in China. He said it comes from the idea of using oil to lubricate a machine. I like this explanation better! I'm a 30-something writer/editor, currently living in Colorado. Here are some of my adventures, coming from the perspective an American who lived in China, between 1994-1999. NOTE: If you can't read the characters in the posts, try switching the Encoding (under Page in IE, or View in Firefox) to Unicode. Do old words ring true?